Drivers for women are not that different than drivers for men. If you are a beginner and already have a hand me down driver, that will be fine to use, as the small difference is not significant. If you are on the market for a new one, though, you might as well get a women’s driver to maximize performance. Women’s driver heads are lighter. The lighter the club head, the more club head speed that you can generate. Faster club head speeds = longer drives. This is a “give and take,” however, because lighter club heads might result in a loss in consistency. Women’s driver shafts are lighter. Same as with the driver heads, a lighter shaft will allow you to swing the club faster and hit the ball longer off the tee. Women’s drivers are typically higher lofted. If not, they are at least designed to get the ball in the air quickly. Men’s drivers typically have 9-10 degrees of loft, while women’s drivers are typically 10-13 degrees of loft. That’s because slower swing speeds don’t benefit from less loft (the ball simply wouldn’t travel far enough). Many women’s drivers have what is called “offset”. This is really more of a characteristic of beginner drivers, not specifically women’s drivers. Offset simply means that the club head is a tad bit behind the club shaft when you address the golf ball. Offset makes it easier to hit straight shots for beginners, because it encourages the club face to hit the ball square (not with an open club face like many beginners would do). I think we are ready to get into the best 2019 drivers for ladies! This article will be updated this entire year, as new releases are sure to start coming out soon. Ladies, please note that I will earn a portion of anything that you buy on eBay by clicking my links/pictures in this article. Thanks so much! The women’s Callaway Rogue driver is going to be hard to beat, there is no question about it. It’s the best combination of distance and forgiveness, which is generally what women look for in a new driver. The entire Rogue family of clubs (woods and irons included) has been the longest model of clubs that I’ve ever hit, so I see no reason why the Women’s driver would be any different. How is it different than previous models? The main technology here is the Jailbreak bars that are inside of the club head. They result in a larger “rebound effect” where the ball bounces off the club face as faster speeds. The jailbreak bars also result in more forgiveness across the entire face. That’s a huge benefit, as many women struggle with consistently hitting the center of the club face. Who it’s best for: The Callaway Rogue driver is best for women that want the absolute best club that money can buy. 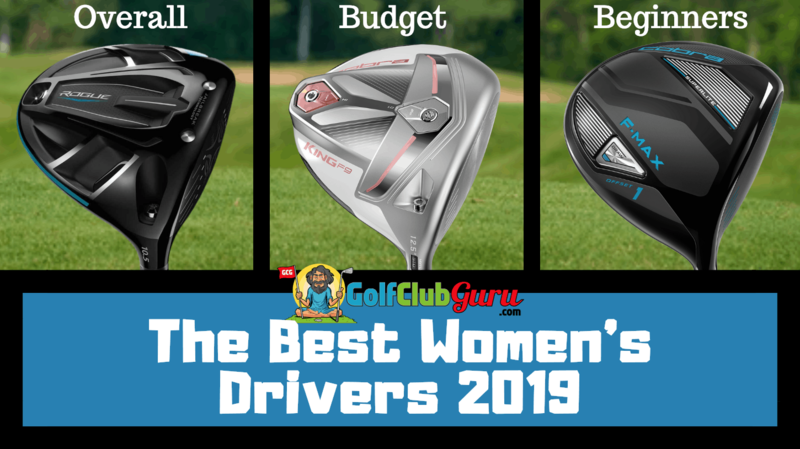 It’s for women that want the longest and most forgiving driver currently on the market. The Callaway Rogue club, even though it was technically released in the previous year, is still pretty pricey. If you are looking for a lower budget option club that was released this year, check out the Cobra King F9. Cobra has released some incredible drivers in the past 5 years. 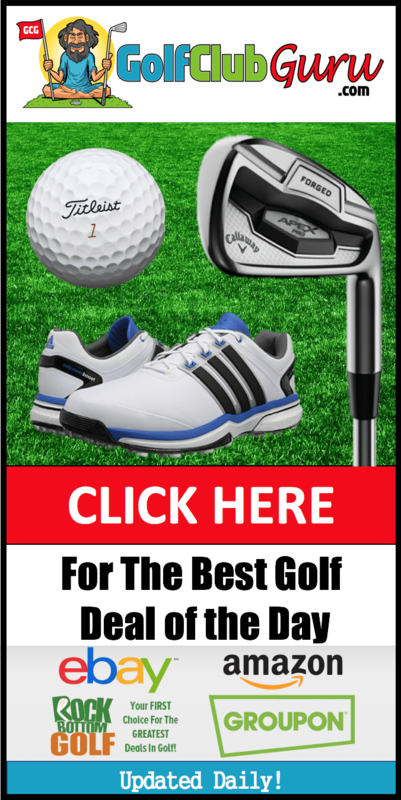 They are extremely underrated when it comes to drivers and fairway woods, and more golfers are starting to realize that. They are especially know for their forgiveness, which is great for mid-high handicap female golfers. How is it different than previous models? The main change is how Cobra implemented their new “SpeedBack” technology. Basically, they made the club head more aerodynamic and lowered the center of gravity (COG). The improved aerodynamics increases club head speed, while the lower COG increases the launch angle and forgiveness of the driver. Who it’s best for: The Cobra King F9 women’s driver is best for ladies that want to try a slightly cheaper driver than the Callaway Rogue. You’ll save money and improve the results of your mishit shots (due to the increase in forgiveness). 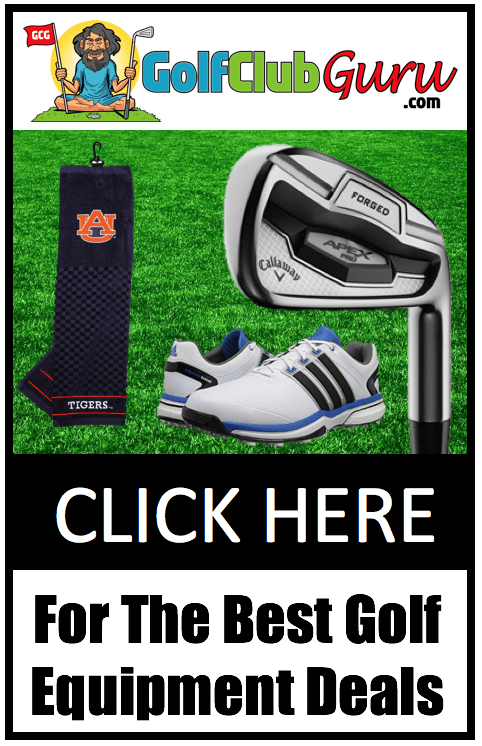 The first two drivers in this article (Rogue and King F9) are incredible drivers, but they weren’t designed SPECIFICALLY for high handicap golfers like beginners. It’s got offset. Like I mentioned earlier, offset is best for beginners, as it encourages a more square club face at impact. The sweet spot is huge. The sweet spots on the F-Max drivers are crazy big. That means that your result whether you hit the dead center of the face or miss by an inch will be pretty similar. It’s “draw-biased.” There is a weight on the bottom of the club toward the heel. That makes it much easier to hit draws (as opposed to those typical, dreaded slices that many women struggle with). How is it different than previous models? Well, this is Cobra’s most forgiving driver of all time. So, there’s that. Who it’s best for: Women that are new to golf, or women that simply struggle with their driver.